It's an accepted á priori postulate of all types of physics ( Galileo, Newton, Einstein's Special and General relativity physics ) that the form of all of these mathematical physics laws maintain the same invariant form in all reference frames, whether inertial ( non - accelerating ) as in Special Relativity Physics or the more generalized non - inertial frames ( accelerating ) as in General Relativity Physics. The Principle of Special Relativity Physics - All the laws of physics in their simplest reduced form are Lorentz - transformable and hence form - invariant as between an infinite number of moving reference systems, each one of which is moving uniformly and rectilinearly with respect to any other system and where no one system is privileged or preferred over any other reference ( inertial ) system when measurements of length or time are taken. "The laws of physics must be of such a nature that they apply to systems of reference in any kind of motion"
So the problem is that in the case of ordinary spacial coordinates for time and velocities, nothing really is Lorentz form - invariant especially as regards time and velocity, all of which will be overcome by enlisting proper time first and foremost in all future special and general relativity equations regarding time, velocity, energy, momentum and acceleration for the motion of bodies of matter possessing mass along world timelines in four - dimensional space and time. 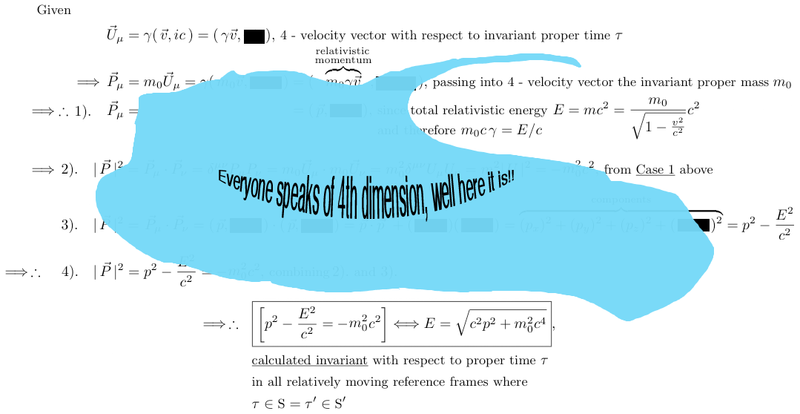 Namely that in Euclidean - space, nothing is Lorentz time - invariant and hence in violation of the Principle of Relativity for form - invariance of the equations of special and general relativity physics! 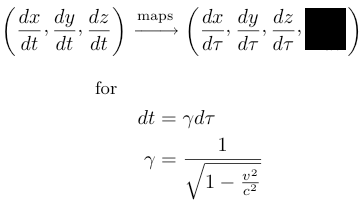 That is, with the extra help from the Lorentz ( correction ) Factor, the Euclidean - space can be brought into - space compliance under invariant Lorentz transformations by simply utilizing proper time instead of spacial or coordinate time! See: "Minkowski's Space - Time Light Cone"
This is a null 4 - velocity vector which is also invariant with respect to proper time . where the invariant space - time distance separating light photons on the surface of an ever expanding sphere of light has zero length ! To the point: only light and gravity are pure energy and travel thru spacetime as null vectors!! 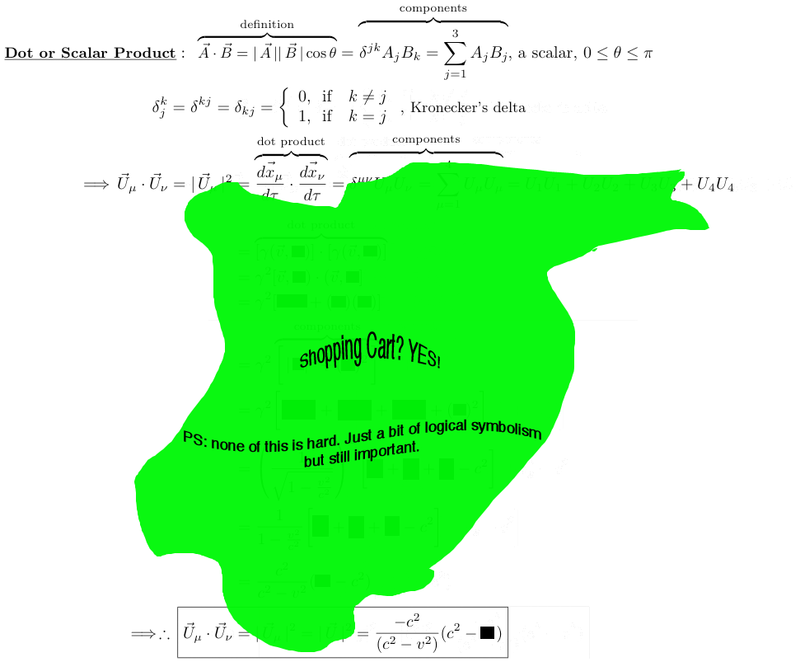 Please note: for the 4 - Acceleration Vector mathematical analysis it's necessary to gain access to the General Relativity Physics parts of this mathematical essay by contacting the author of Relativity Physics and Science Calculator. Thank you for understanding. 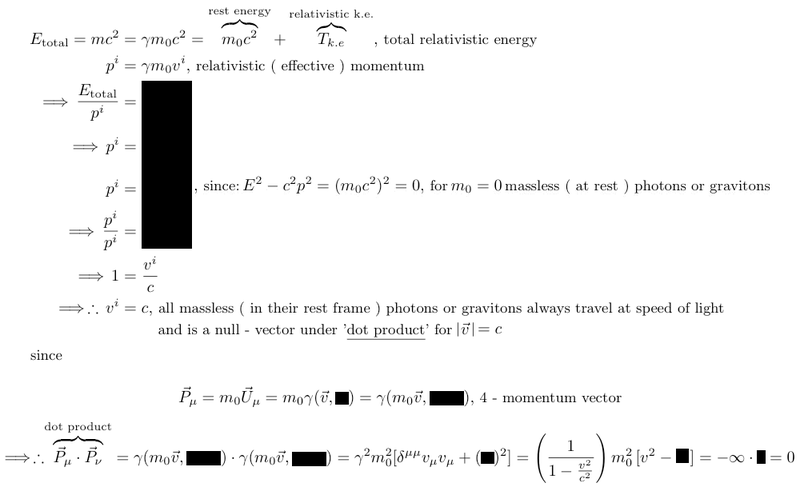 Again please note: for the 4 - Force Vector mathematical analysis it's necessary to gain access to the General Relativity Physics parts of this mathematical essay by contacting the author of Relativity Physics and Science Calculator. Thank you for understanding.